Within a few decades of their creation, both of these teapots were damaged and lost their porcelain spouts. Rather than purchasing new pots, their owners chose to fit them with new silver spouts. Several reasons could explain why “make do” replacements and repairs were employed. Perhaps the owners could not afford a new pot or had a strong sentimental attachment to the item. Maybe they were just unwilling to break up a matching tea service. Whatever the explanation, the alterations on the pots tell us a great deal about the owners’ steadfast affection for them. 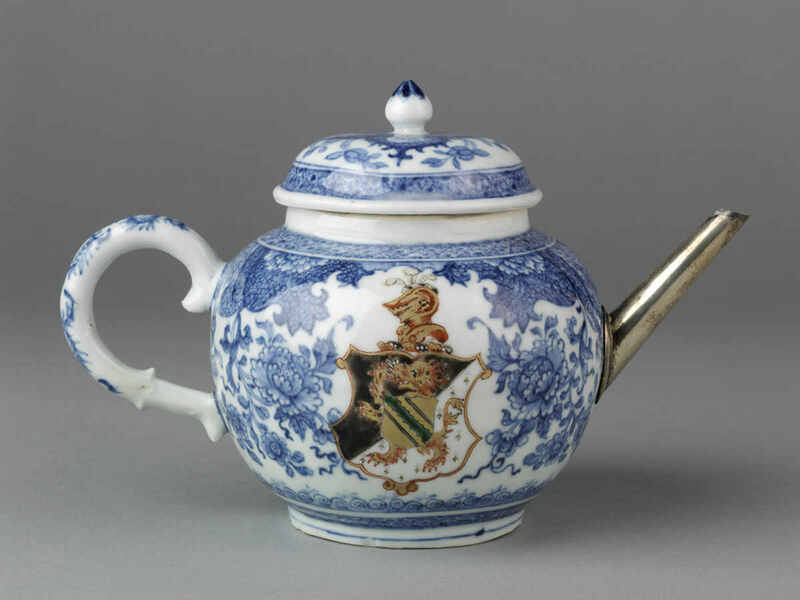 This blue and white teapot commemorates the 1738 marriage of George Edwards (1700–1750) and Elizabeth Hanbury (1716–1807). The multicolor enamel-and-gilt design on the body of the teapot merges elements from the coats of arms of both families. 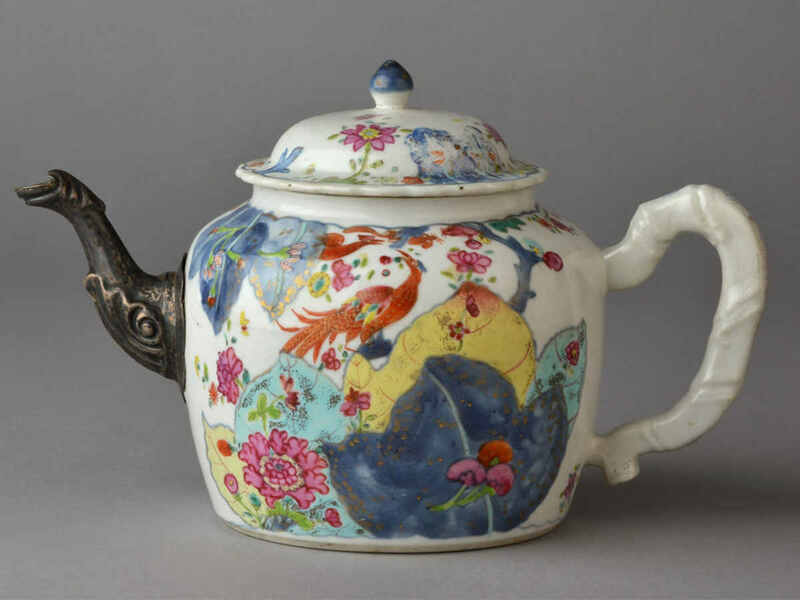 The larger, multicolor teapot (right) is decorated with painted overglaze enamels in a “tobacco leaf” pattern. This style of Chinese export porcelain was fashionable from about 1750 to 1800. Collecting for the Future: Recent Additions to the Winterthur Collection highlights a variety of recently acquired objects and their contribution to the Winterthur collection. Curated by Nalleli Guillen during her tenure as the Sewell C. Biggs Curatorial Fellow, this exhibition is currently on display in Winterthur Museum’s first floor center gallery and will be on view until the end of May 2018.